Enigma is a decentralized applications platform that aims to improve the exchange of data via smart contracts between organisations, companies and people. This platform is looking to disrupt the standard ways in which data and information is transferred by adding features such as privacy. 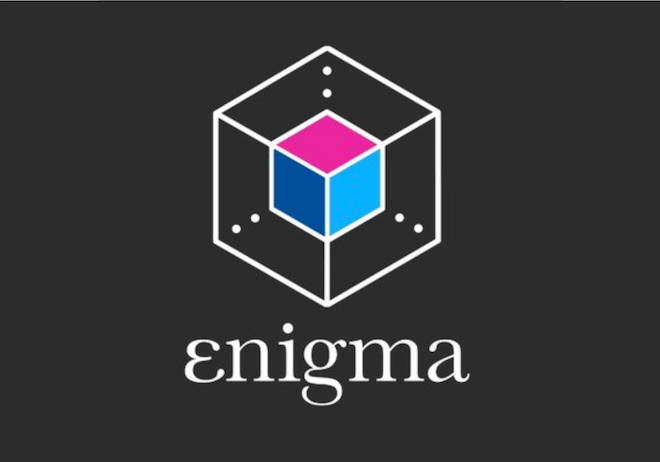 Enigma hopes to increase data accuracy and quality by providing positive incentives via their Enigma (ENG) token. While there are similar platforms for decentralized data-sharing, Enigma has highlighted two problems with those projects. According to Enigma, such projects struggle to scale, as all their data operations must be run on-chain. Enigma claims to have solved this problem by segregating much of the data-handling from its blockchain. Enigma also claims that regular transactions over competing blockchains are too public for certain applications. They solve this supposed problem by encrypting smart contracts, such that only authorised participants gain read their contents. Enigma is a decentralized trading platform which primarily enables the efficient trading of data. It aims to empower people to buy and sell valuable data without the need for any sort of middleman. The Enigma platform aims to attract companies and individuals that need to access data without the hassle of involving a centralized authority. An important feature of this system is that any purchase of or subscription to data streams, or any rewards for the sales of such data, is paid and received within Enigma’s blockchain. However, containment of the data and its movement is handled off-chain; somewhat akin to Layer 2 scaling solutions for Bitcoin but involving data rather than transactions. Another crucial feature of the Enigma platform is its Catalyst application. This app provides a marketplace for all kinds of market data, strategy and bots. It allows algorithmic traders and quantitative analysts to build strategies based on accumulated trading data, which they can then sell to other market participants. Guy Zyskind is Enigma’s CEO and Co-founder and specialized in the MIT Media Lab, with over 10 years of software development experience. Zyskind has a host of specialities and interests including blockchain, security, privacy, and data science. He also pioneered blockchain education at MIT, teaching their first engineering class on blockchain technology. Can Kisagun is the Chief Product Officer and Co-founder of the project. While attending MIT, he was part of associations such as the MIT Bitcoin Club and MIT Tech Club. He graduated in 2016 with a Masters of Business Administration. Kisagun also has experience in business analysis and product management. Enigma has countless advisors that also centre their careers around blockchain technologies. These include Bill Barhydt (Founder & CEO of Abra), Jacob Gibson (Co-founder and COO of Nerdwallet), and Paul Veridittakit (a partner at Pantera Capital). The Enigma project is active on social media, with their own blog that is updated weekly, and accounts on Telegram, Discord, Twitter, Reddit, and Medium. The Enigma ICO was announced in July of 2017 and its presale opened during August of the same year. After a successful main sale from the 11th to the 21st of September of 2017, the ICO raised its hard cap of $45,000,000. The Enigma token is what provides incentives for the project. When anyone exchanges data, they are rewarded with the token. It also works for data buyers, who use the token for payment. Within Catalyst, it allows for quantitative analysts (quants) to access data they want via the platform. The token’s value may attract such analysts to the platform, where they will be rewarded with tokens for providing winning market strategies. Enigma is still in its infancy and will have to compete with far larger blockchain projects, such as Ethereum, EOS, Cardano, NEO, etc. EOS alone raised $4 Billion in its ICO sale and Ethereum remains the go-to blockchain for hosting the bulk of ICOs. Enigma may carve out a niche in the data space, but taking the smart contract platform crown will not be easy. In terms of data sharing – especially financial data – a large incumbent competitor is Bloomberg. This company earns billions of dollars from its presentation of interactive financial data. What might give Enigma the advantage is its ability for allowing lower cost, accelerated data sharing via its decentralized platform. Enigma has made significant progress thus far. It’s ICO sale was completed in September of 2017. In March of 2018 the Enigma Data Marketplace went live, and in April of 2018 Enigma joined the Enterprise Ethereum Alliance and the Decentralized Identity Foundation. The Catalyst programme has been available for use since 2017. Enigma released a new roadmap in March of 2018. It includes the company’s plan to become Ethereum-integrated, globally scalable and completely independent by 2020. It provides a large range of data that is accessible for research. Organisations and people will be rewarded for providing their data. The sharing and handling of data becomes more efficient. A higher quality of data is incentivized due to competitive factors. The Enigma platform was hacked in 2017, when hackers breached the company’s website and social media accounts. Pretending to be the Enigma team, hackers announced a fake “pre-sale” of Enigma’s ICO, and made sure that the incoming funds were diverted to their own crypto wallets. The project itself is still in its infancy compared to larger, better-known projects and offerings from blockchain technology groups. This could result in organisations and people favouring more widely-accepted projects. Enigma has potential in terms of the efficient and decentralized sharing of data and the strategic presentation of trading and financial analytics. It offers credible solutions for scalability and smart contract anonymity. This could give Enigma an edge over competitors, such as EOS and Ethereum, in certain specialized areas. With their team of MIT graduates and top advisers, they would appear to have the requisite expertise to face up to the competition. They do need to pay greater attention to security aspects, but this could also be said of most smart contract platforms.